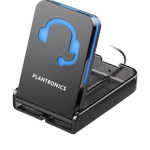 Complete Business Headset Solution - Headsets Direct, Inc.
We remove all your risk and uncertainty with this awesome money-saving Business Headset Solution with our 60-Day Money-Back Guarantee! 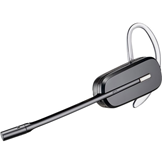 The CS540 Headset Offers The Latest in Wireless Technology Making It Your Complete Business Headset Solution! Choose your wearing style. It’s so comfortable, you’ll forget you’re wearing a headset with the CS540. With two wearing styles included, you decide what’s best for your all-day wearing comfort. Choose the headband for a more secure fit with a soft leatherette cushion. If you prefer not to mess your hair, the over-the-ear option has multiple ear loops and tips to easily configure a perfect fit to your ear. One-touch controls for adjustments on the go. Speaker volume and microphone mute controls are at your fingertips allowing you to adjust your CS540 remotely without returning to your desk. This keeps you roaming freely about your office without the need to return to your desk for volume adjustments. TECH TIP: When initially configuring your headset, the mic needs to be 1/4 inch from your mouth for optimal voice pickup. Fast and Easy Setup. Setup only takes a few minutes using compatibility, microphone, and speaker volume controls. CS540 base settings are easily configurable to maximize your audio experience. On the bottom of the base, you will find a compatibility slide switch with letters A-G. The letter A is the typical setting, with other positions specifically made for phones that require unique settings for things like reverse wiring. You will have a microphone volume dial with 1-6 to set according to your voice. This is typically set once, because your voice doesn’t change from call to call. If you ever change phone systems, you will need to readjust it at that point, because your new phone may not be set at the same microphone volume. Last is a speaker volume dial 1-4. This is your major adjustment setting for what you hear. Once you get it within range, then you can use the minor adjustment on your headset to adjust between calls. Productivity Booster.Up to 350 feet of range to roam your office, and 7 hour s of talk time to improve productivity, as you’re able to gather information throughout your office while continuing to talk. Think of how much of your day is spent running from your phone to a back office to gather documents and information a caller may need. How about the running to co-workers to ask a quick question? All of these tasks can be accomplished while continuing your call. When you take your calls with you, you can quickly roam to where the information and answers are found without the need to return to your desk and caller. Also, many users find that with a wireless headset, you can get out of your chair and pace your office to improve your thought process and call flow. Everyone finds that special benefit when they go wireless…what will yours be? Remote Answer & Hang-Up. 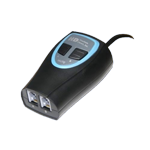 The HL10 handset lifter unit further increases your efficiency, providing the ability to answer your calls remotely. When away from your desk, the headset alerts you to calls, so you never miss calls to voice mail. For a small investment, you can be more productive by taking calls remotely and start conversations without the need to return to your desk. Think of how many times you take calls that only require a quick answer. 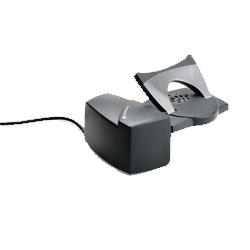 Each one of those could be handled now with a wireless headset and lifter allowing you to continue your work filing, copying, counting inventory, picking orders or any other task without stopping and running back to your office. Would you gain 1-2 hours a day with this benefit making it your complete business headset solution? Busy Light Alerts Others. The Busy Light is a must have in any busy office. When you’re on a call, the light flashes, and co-workers will quickly know when you’re available to talk or when you’re busy on a call. When you go wireless, a dynamic changes in your office. You’re no longer holding your handset against your ear, because most headset users simply leave the headset on. Your co-workers can’t tell if you’re listening to a caller, or not on the phone. With the addition of a busy light, your interoffice communications are quickly restored, and others know when you’re on a call with the flashing light you position on your desk, cubical, or other visible location. Training Like Never Before. How invaluable would it be to message members of your sales staff with what to say to instantly close the sale? It’s possible to do, when you’re listening in to calls and messaging your staff with key information. A Headsets Direct original product, this device serves two purposes. 1) It lets new employees listen in to experienced staff to get up to speed quicker by listening to the verbiage to use, the models to understand, and how to handle customers’ questions. 2) Once they are fully trained and taking calls on their own, you can re-purpose our training adapter to have managers listen in to their calls. This allows for continued coaching and the ability for a manager to take over a call when needed. It’s much easier when a manager has listened in and knows the whole story before they jump into a call. How Headsets Direct can save you hours of time, frustration, and money.